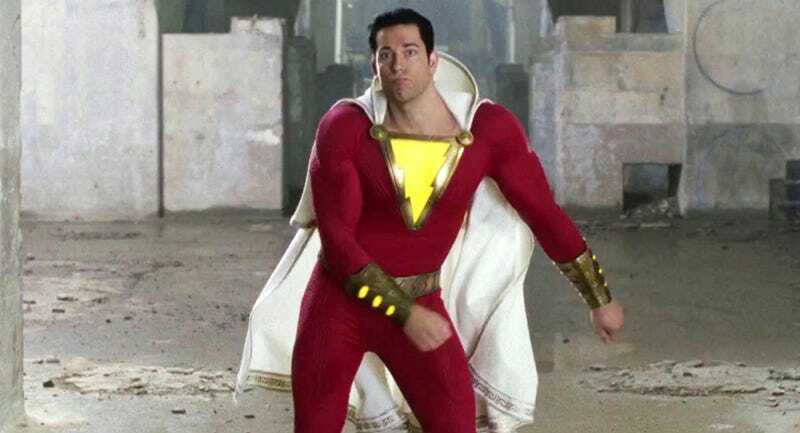 Zachary Levi dances as Shazam in Shazam! No matter which way you slice it, these days we live in a pretty dark world. It constantly feels like something is bad happening and at times, it’s easy to lose hope. That feeling, relatable to so many, is why entertainment can be so important. Movies, television, music, these things help us remember the good things in this world—and one star thinks one character in particular will soon do this better than most others. That actor is Zachary Levi, and—while he may be biased—he feels Shazam is a character destined to inspire in 2019 (when the movie opens). That is the cool thing about Shazam, right? While we can see ourselves as Batman, Wonder Woman, or Black Panther, Shazam has an even bigger dose of wish-fulfillment and childhood wonder. He’s literally a 14-year-old boy who just so happens to have the body and abilities of an adult superhero. He’s the manifestation of a very relatable dream, and dreaming is never bad. 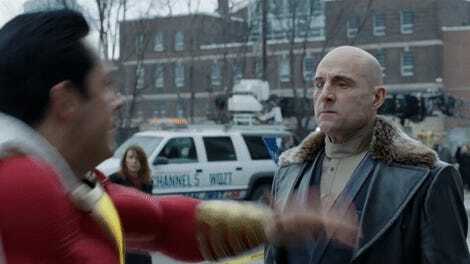 Shazam opens in theaters April 5, 2019.